Fort Delaware as it looked in the 19th century. The island fort served as a prison for captured Confederates during the Civil War. There couldn’t have been a worse time for Capt. Lucien M. Bean of the 17th Mississippi Infantry. The Confederacy was crumbling. In the heart of the South, Union Gen. William Tecumseh Sherman was “making Georgia howl.” Confederate Gen. John Bell Hood’s entire army had been smashed to bits by Gen. George Thomas at Nashville. Down around Petersburg, Gen. Robert E. Lee’s troops held on in their trenches, which the Union army would soon overrun. For Capt. Bean, however, the fighting was already over. He had been taken prisoner near Richmond on Dec. 10, 1864. After a stay at the infamous Old Capitol Prison in Washington, he was sent on Feb. 3, 1865, to Fort Delaware, a Union prison island in the Delaware River. Bean’s story survives today because he kept a diary of his experiences from 1864 until after the war. 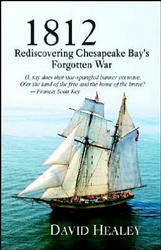 He wrote, too, about the lifelong romance that was sparked during his journey to Fort Delaware. Neither the North nor the South treated prisoners well. Considering Confederate troops had little enough food to begin with, it’s likely the young captain resembled a skeleton as the train filled with prisoners steamed north through Maryland. Curiosity of the Day: Order an ancestry.com DNA testing kit to explore your genetic roots! Upon reaching Delaware, the prisoners stopped in the town of New Castle on their way to Delaware City, where the prisoners would be ferried to the prison camp. One can imagine the scene as the train stopped. Confederate prisoners leaned out the doors of the box cars as the Yankee guards kept watch on the station platform, their bayonets glinting dully in the winter sun. Some of the soldiers probably lay on the floor of the unheated railroad car, too sick or too weak to move, going on to die at Fort Delaware. Two young ladies happened to be in New Castle that day and caught a glimpse of the Rebels. One was Miss Annie M. Foard of the village of St. Augustine in Cecil County, Md. The other was Miss Julia Jefferson of Middletown, Del. Capt. Bean spotted the two young ladies and asked their names. Miss Foard passed Bean a card with both their names, along with a scarf to keep him warm at the prison camp. At Fort Delaware, Bean exchanged letters with Miss Foard all through the winter and spring of 1865. According to his diary, his fellow prisoners kidded him about the scarf. William Stubbs opens Capt. Bean’s diary. The penciled lines are still clear even after 130 years. “I’d like to eventually write out the whole thing,” says Stubbs, a local historian who lives in a Cecil County farmhouse built in the 1750s by a distant relative. He was given the diary by Carolyn Lorraine of Chesapeake City, a relative by marriage. The diary is actually inscribed with the name of Sgt. Charles Howard of the 76th New York Infantry. The sergeant from Tompkins County, N.Y., has even written a few diary entries. 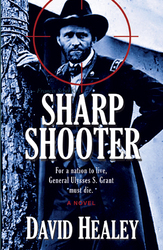 On May 6, 1864, during the battle of the Wilderness, Capt. Bean came across Sgt. Howard, who was lying in the road, badly wounded. The Wilderness was a terrible fight. Smoke floated in the tangled underbrush. Units were all mixed up. In gratitude, the wounded Yankee gave Bean his diary. Bean used it to keep a faithful account of events from that day until after the war. His words help tell a love story that brightens a dark chapter in the nation’s history. Stubbs closes the diary, wraps it again in protective plastic, then returns it to his bookshelf. “I consider myself the custodian of the diary,” he says. Fort Delaware remains a forlorn and imposing place, and it must have been even worse for a young prisoner. Visitors have claimed to see ghosts walking the narrow brick passageways. Cold wind off the Delaware River still washes between the open iron bars on the windows. On June 19, 1865, the misery ended when the prisoners were released. From Cecil County, Bean returned to his home in Buena Vista, Miss. But not for long. That autumn, Bean and Annie Foard were married at St. Augustine Episcopal Church. Julia Jefferson, who had been at the train station the day the future newlyweds met, was the maid of honor. Bean went into business in nearby Kent County, Md., for a few years, then moved his wife and family to New York, where he worked for the West Shore Railroad. In later years, he and his family returned to Chesapeake City in Cecil County. He died there in 1921. Annie died in 1924. Captain Bean’s headstone at St. Augustine Church in Chesapeake City, Md. Bean and his wife are buried side by side in the St. Augustine Church cemetery. Annie’s headstone lists her date of birth as 1841. The modest headstones are tucked up tight against the side of the church. Nearby are the graves of three Union veterans. Co. A., 17th Miss Inf. There are no dates for his birth or death. Bean and his survivors must have been proud of his service to the Confederacy to use it as his only epitaph 56 years after the War Between the States ended. This entry was posted in Delmarva History and tagged Chesapeake City history, Confederate prisoners, Fort Delaware. Bookmark the permalink.